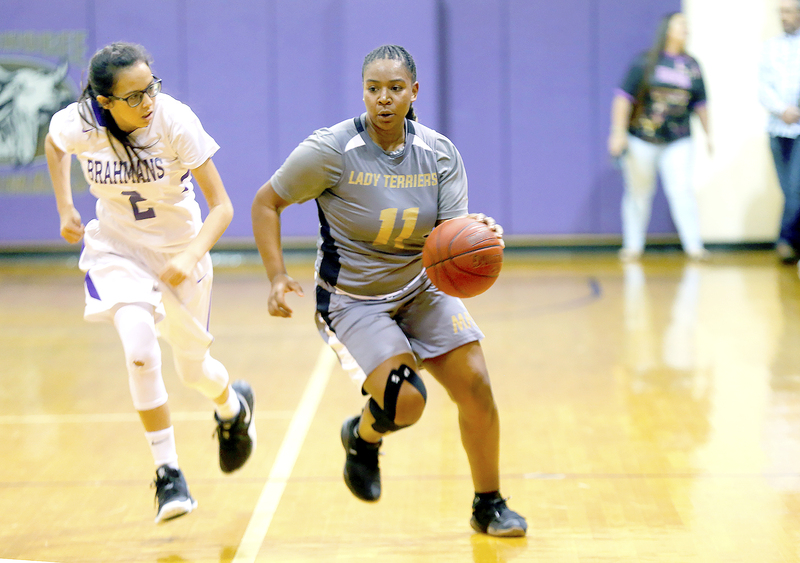 OKEECHOBEE — A veteran Moore Haven squad emerged from a packed Okeechobee High gym with a hard-fought win as the Terriers edged a young and determined Okeechobee team that kept things interesting all the way until the final buzzer Jan. 7. 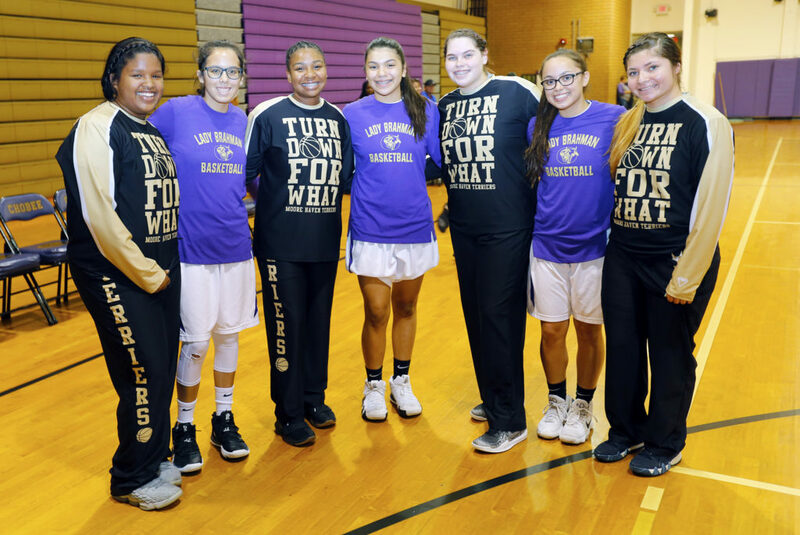 The high school girls varsity basketball game featured seven players from the Seminole Tribe’s Brighton Reservation (Moore Haven’s Alicia Fudge, Tafv Harris, Burgundy Pierce and Caroline Sweat and Okeechobee’s Adryauna Baker, Karey Gopher and Caylie Huff). 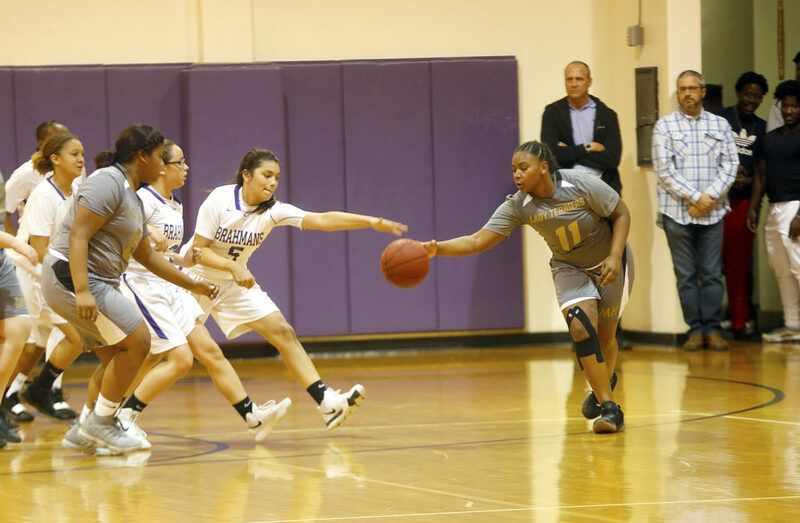 Several Tribal members in the stands were treated to a gem as Okeechobee, which trailed most of the game, mounted a furious comeback in the second half, but Moore Haven used its experience in the waning moments to prevail. Fudge, a senior guard, was a force at both ends of the court in the final few hectic minutes. She dominated on the defensive boards. 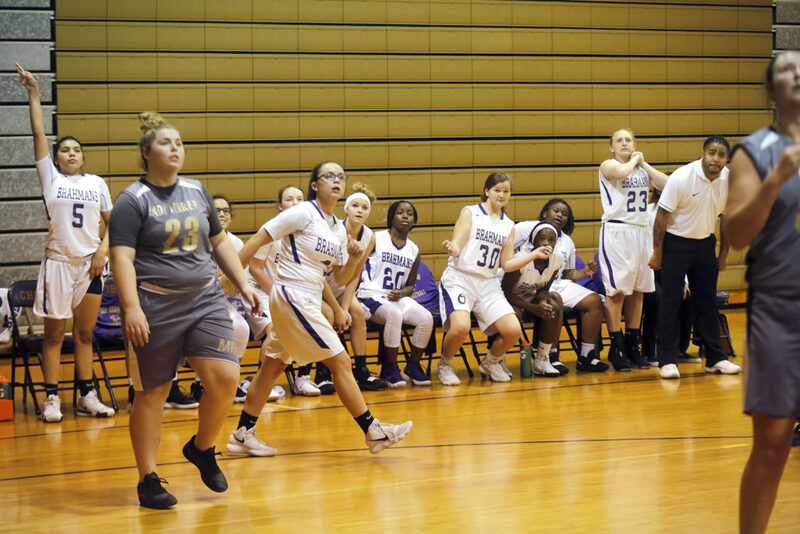 While Okeechobee’s inexperience in a tight game showed up on the foul line, Fudge calmly went 4-for-4 from the line in the final two-and-a-half minutes thanks to drawing fouls on coast-to-coast rushes. “When you’re a senior and you’ve been playing basketball for many years, and it’s time to be a leader, that’s what leaders do. 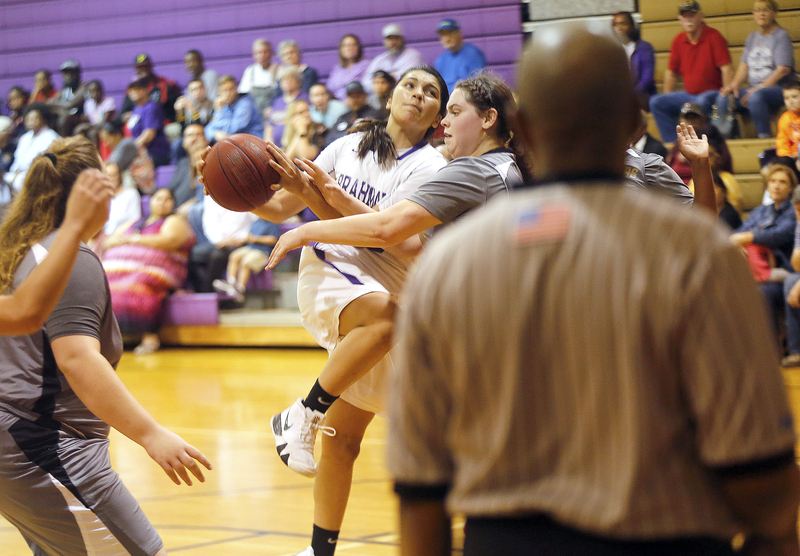 Leaders step up and take control of the game,” said Moore Haven coach Al Gary, whose team improved to 8-4. All 12 of Fudge’s points came in the second half. Sweat, who scored 16 points, which included 10 in the first half, made a free throw with 16 seconds left in the game that proved to be critical. That point gave Moore Haven a seemingly comfortable 64-57 lead, but Okeechobee, as it did all game, just never gave up. “That’s one thing about this group. They have bad days, but they don’t quit. They keep fighting. Whether we’re up by 30 or down by 30, they’re always fighting. 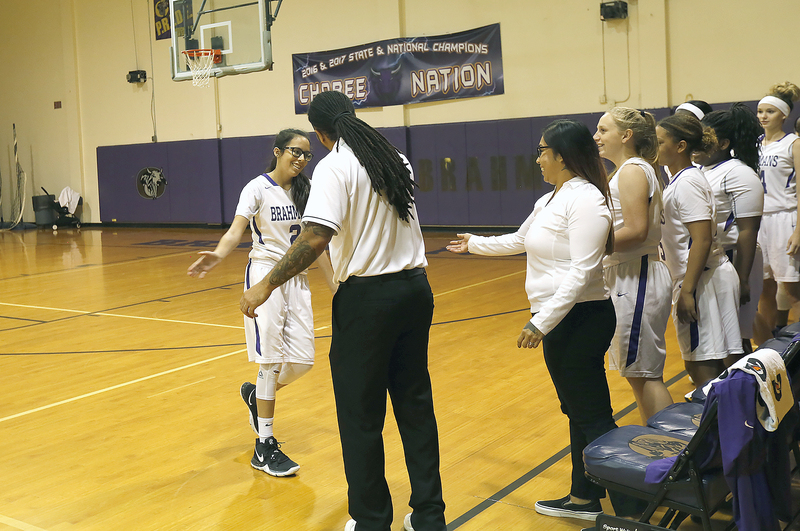 That’s all you can ask for as a coach,” said Okeechobee coach Jovanny Torres, whose team is 5-9 overall and 2-1 in its district. Okeechobee’s grit was on display literally right up until the horn went off. With her team down by four points and with only four tenths of a second left, Gopher received an inbounds pass and sank a 3-pointer as time expired. 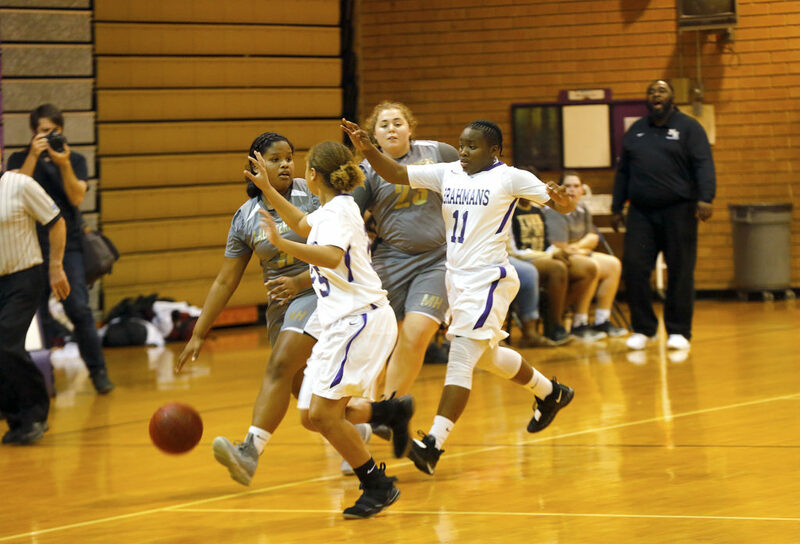 Although they didn’t win, being in a close game against a rival school in a frenzied atmosphere should help the Brahmans in the experience department for the rest of the season and the coming years. “They’ve got all seniors except for maybe two or three; we’ve got all freshmen except for two. I’ve got one junior and one sophomore; all the rest are freshmen, so they’re still learning. When they get the ball they’re like a deer in headlights sometimes. They’re not calm, cool and collective yet, but we’ll get there,” said Torres, whose assistant coach and sister-in-law is Tribal member Audrey Snow. Gopher scored eight points, including a pair of 3s from in front of the team’s sideline, and Baker, nicknamed Nova, who earned Okeechobee News’ Big Lake Athlete of the Week honor earlier in the season, had seven points. Both are starting guards who have emerged as pleasant surprises for Torres this season. Huff, a sophomore, came off the bench and provided a spark in the first quarter. With Okeechobee down 11-3 early, Huff entered the game and promptly had two assists and made a layup that keyed a 10-0 run. “She’s definitely our sixth man. She comes off the bench with fire and energy,” Torres said.